Some fans are still grumbling, as is their wont. But I loved “Doctor Who” series 8.1 Today I share one reason why at Christ and Pop Culture in the latest “Doctor Who’s Doctrine” article. The Tenth Doctor tolerated Rose’s loser boyfriend Mickey Smith, then praised his heroism. 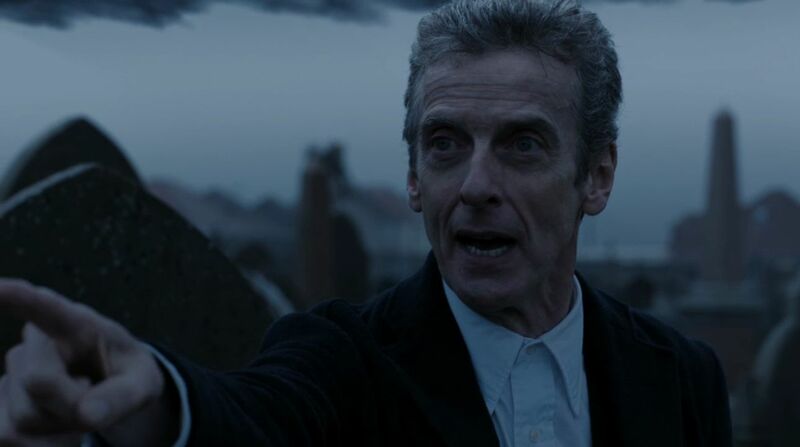 But the Twelfth Doctor mocks Clara’s new boyfriend Danny — a good man, former soldier, and math teacher. The Eleventh Doctor brings a child to a Narnia-like world that she calls a fairyland; “Grow up,” Eleven feigns to chide, “Fairyland looks completely different.” But Twelve upon meeting the real-life Robin Hood is rude and skeptical of fantasy heroes. Of course Twelve remains the hero, the cleverest one in the room, the man who solves the mysteries, defeats monsters without violence, and makes the tough decisions about who lives and dies. But he constantly behaves in unheroic ways. Why? He loves to help others but his attitude makes him feel unloving. Why? Read the rest at Christ and Pop Culture: Heroes Can Be Idiots Because Love Is A Promise. And consider signing up to support Christ and Pop Culture, the web’s best resource for teaching biblical Christians to interact with their world.